Located just on the outskirt of the main old town area but within 2mins walking you reached a few bars/restaurants. The apartment was immaculate and really modernly decorated. The terrace upstairs had great views over the rooftops of Split. Awesome place to stay close to everything. There's a common roof terrace with views over the city. Host was super friendly and helpful, location was great for walking into town, air condition was appreciated! Everything new and clean. Super location. The hosts very friendly and helpful. Absolutely for recommend. El apartamento muy cómodo. Está cerca del centro y el dueño nos buscó un hueco para aparcar. Muy amable. Nos permitió salir más tarde porque llovía. Decoración bonita y vistas bonitas a la montaña. Mooi vernieuwd appartement, goede ligging, vriendelijke en behulpzame gastheer. Niets op aan te merken! Todella siisti ja moderni asunto hyvällä sijainnilla. Majoittaja mukava tyyppi joka auttoi mielellään ja oli ostanut jopa aamupalatarvikkeita valmiiksi. Sänky jämäkkä ja iso. Asunnossa ilmastointi. Oltiin miehen kanssa kiertämässä Kroatiaa ja päädyttiin kyseiseen majapaikkaan kolmeksi yöksi. Läheltä asuntoa löytyy paljon terasseja, ravintoloita, ruokakauppoja sekä autolle niin maksullisia kuin ilmaisiakin parkkipaikkoja. Lock in a great price for ALDOs apartment – rated 9.7 by recent guests! 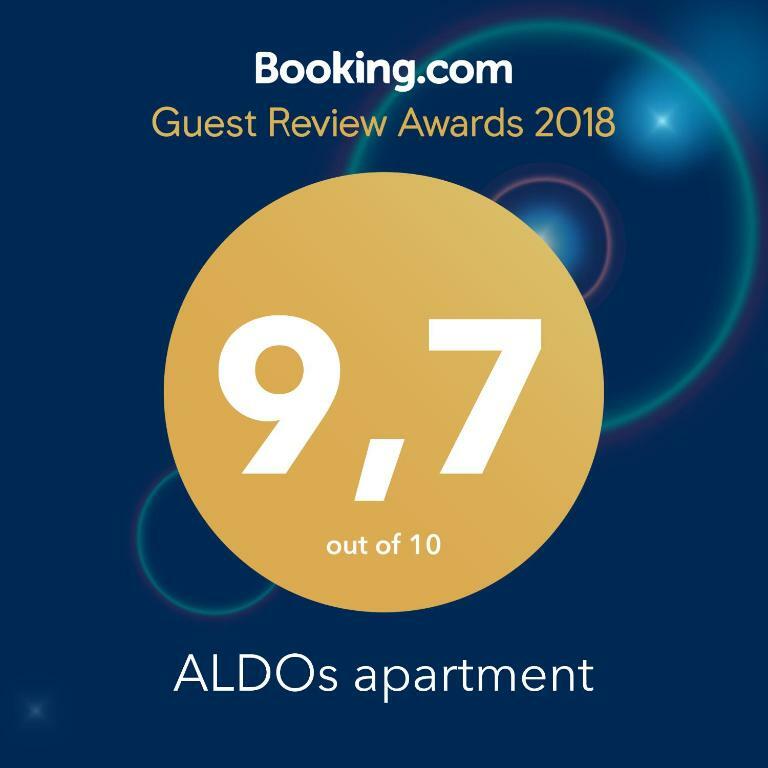 ALDOs apartment This rating is a reflection of how the property compares to the industry standard when it comes to price, facilities and services available. It's based on a self-evaluation by the property. Use this rating to help choose your stay! One of our top picks in Split.Located conveniently in the Split City Centre of Split, ALDOs apartment offers air conditioning and free WiFi. Guests staying at this apartment can use the fully equipped kitchen. Including 1 bedroom and 1 bathroom with a shower, this apartment has a cable flat-screen TV. Popular points of interest near ALDOs apartment include Split Archaeological Museum, People's Square - Pjaca and Gregory of Nin. The nearest airport is Split Airport, 15 miles from the property. 뀐 Located in the real heart of Split, this property has an excellent location score of 9.6! When would you like to stay at ALDOs apartment? House Rules ALDOs apartment takes special requests – add in the next step! Please inform ALDOs apartment of your expected arrival time in advance. You can use the Special Requests box when booking, or contact the property directly using the contact details in your confirmation. Real close to the historic city centre and real cozy.